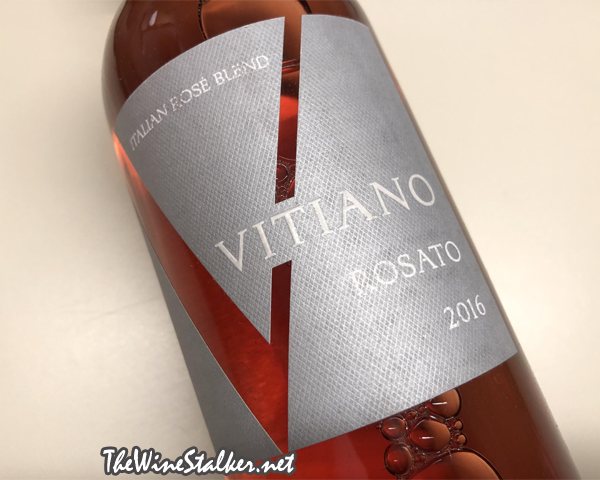 Over the course of this week I'm be reviewing three wine's by Falesco's Vitiano label. I started off with their 2016 Bianco, now I'm on their 2016 Rosato, and then finally I'll taste their 2015 Rosso. Falesco is located in Italy's Umbria and was founded in 1979 by two legendary winemakers, Riccardo and Renzo Cotarella. In 1995 they introduced the Vitiano label, seeking to find a balance between tradition of native grapes and the versatility of international varieties. Basically, Vitiano is their affordable, easily-approachable label for the average consumer. 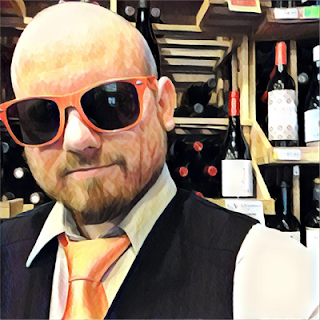 The 2016 Rosato is 30% Sangiovese, 30% Merlot, 30% Cabernet Sauvignon, and 10% Aleatico. The vineyard was planted in 1985 at 990 feet above sea level on sedimentary clay with calcareous deposits. It has a brief maceration of two days to extract color and flavor, and then it's fermented in stainless steel tanks for ten days. 40,000 bottles were produced and it has an ABV of 12%. The color of the wine is that of ruby red grapefruit. There's a floral aroma with fruit aromas of watermelon, strawberries, cranberries, and there's also a little piece of fresh plastic. It's a fuller bodied and richer rosato with mild acidity and a little bit of an oily mouthfeel. There's flavors of watermelon, strawberries, and peaches. It's bolder and more succulent than, say, Provence style rosé, managing to be all about the juicy fruit but still clean and crisp. This is another offering by Vitiano that's not complex or thought provoking, but serviceable and enjoyable for the price. I could see myself drinking pitchers of this stuff during the summer. Again, like their 2016 Bianco, I like it and don't see how anybody couldn't for $12.